Besides giving you a soft and supportive place to bed down, a sleeping pad provides much-needed insulation. Without a pad, the cold ground can steal precious warmth from your body. Closed-Cell Foam Pads: They are thin, lightweight and durable. They give you adequate insulation and provide enough comfort for most guys. Open-Cell Foam Pads: Often called “egg crate” pads, they are lightweight and softer than closed-cell pads, but they will not be quite as warm or durable. They also absorb water, which is bad for wet-weather trips. Self-inflating Pads: They are thin pads that usually have a nylon shell covering open-cell foam. They provide good insulation and warmth and are the most comfortable choice since you can make the pad harder or softer by inflating it more or less. They are more expensive and can pop or get air leaks. Years ago I went through a phase where I camped with the old style net hammocks rather can carry a tent and sleep on the ground. A night sleeping in a hammock is much more restful that sleeping on the ground. 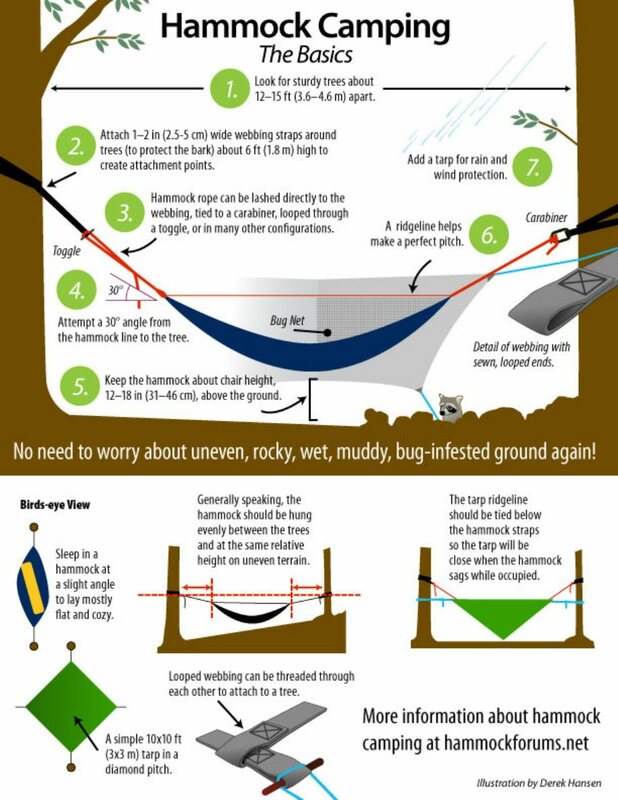 Also, a hammock weights much less than a tent, and takes up much less space. I used a surplus Army poncho to make a tarp. It worked pretty well if the weather wasn’t bad, but keeping dry in the rain was problematic. If I thought that there was a chance of rain I took a tent instead. 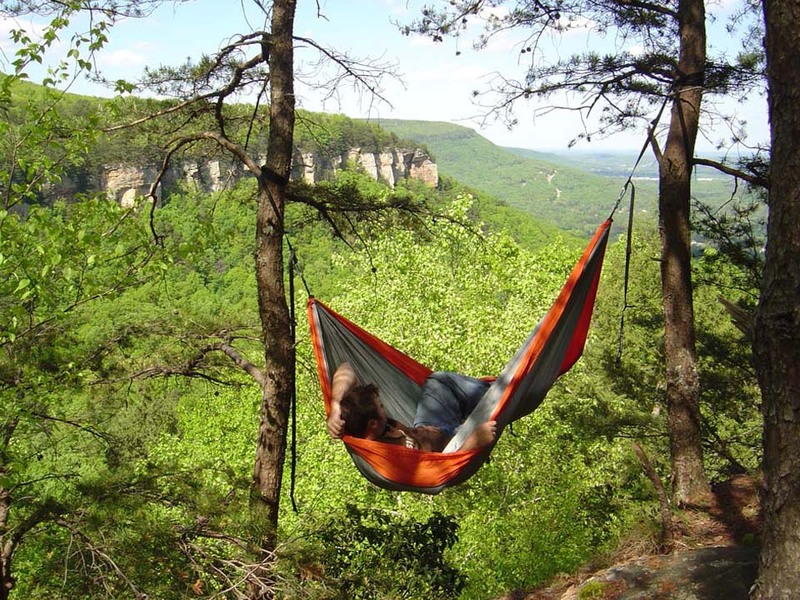 Today Eagle Nest Outfitters (ENO) produces a large line of hammocks for the same type of high-speed / low-drag camping, and they also sell matching tarps, mosquito nets, and other nifty hammock accessories. I am amazed at how small and light each component is. They are perfect for a bug-out bag, hiking, or canoe trip. I’m planning a canoe trip for late in the summer. Their gear will be perfect to camp by the river, away from the snakes and the bugs.